Instead of Goliath saving Babylon from evil rulers – it is Hercules that saves the people from an evil, nasty, wicked sorceress. 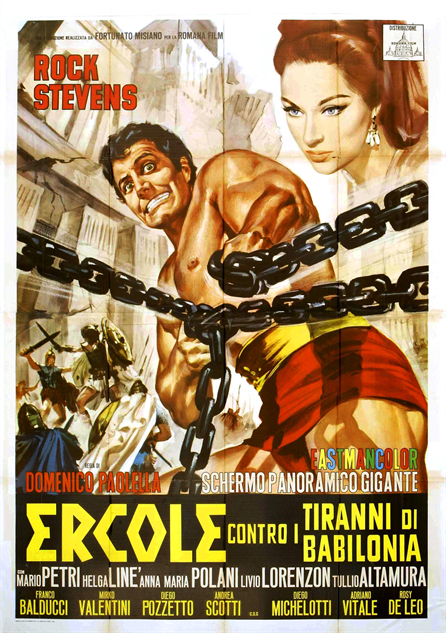 Goliath and the Sins of Babylon (1963) and this film are about the same, compatible with the strongman saving the population of Babylon from evil that is in power. Nothing overly special about this film. Standard sword and sandal flick with different actors and a little different story that centers around our heroic strongman saving a mass of people. It’s an okay enough peplum that I can relax to and watch the mind-numbing action and cool costumes while getting ready to fall asleep.